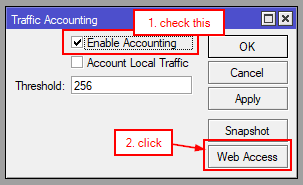 I created a simple python script for collecting data from mikrotik accounting (documetation) feature. 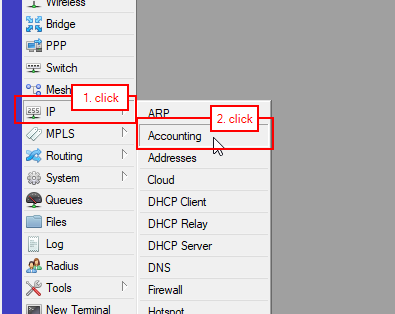 this will collect data from mikrotik every 5 seconds and store it in data.db sqlite3 database in the same directory as the script is. 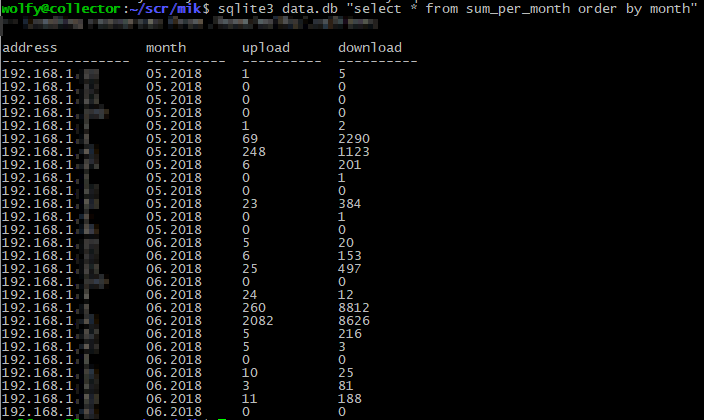 sqlite3 data.db "select * from sum_per_month order by month"